The simple elegance of this bouquet of peach tones is full of symbolism. Its color captures the sincerity and cheer of get together. It is ideal for celebrating that things have gone beautifully well and reached their natural closing. 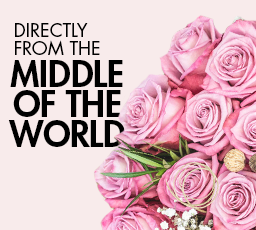 This exclusive bouquet has the power to capture attention. Its freshly picked roses of burgundy color are the perfect accent for a neutral background on weddings and other special moments. This pretty bouquet of freshly picked roses captures in its red and white colors the beauty and purity of love. It is ideal for weddings and other meaningful occasions.